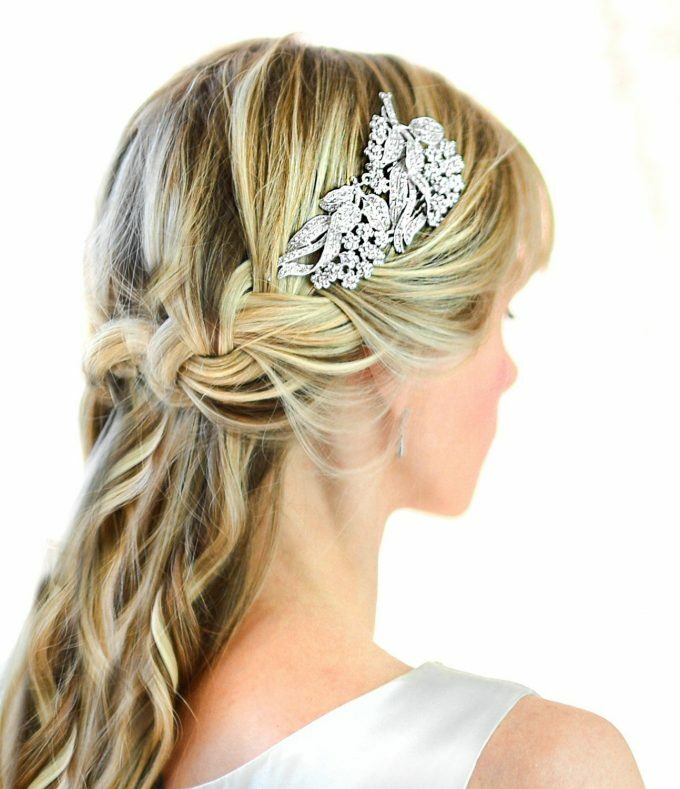 Everything you need to know about a bridal comb for veil is here! Follow along on our list for the latest. 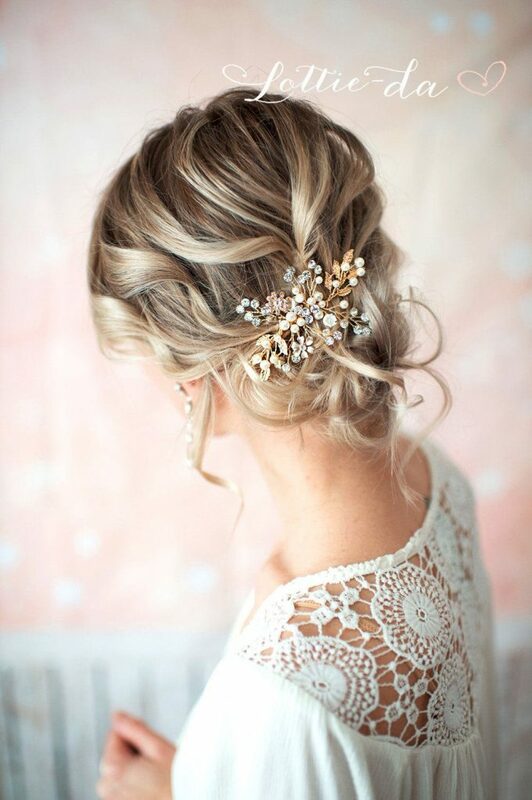 While planning your wedding, it is easy to feel like *every* little decision lies on your shoulders. Suddenly, you’re expected to plan a party for 100+ guests with entertainment, food, and dancing, give everyone a gift/favor, coordinate attire for a wedding party… and you still have to figure out your wedding dress, how you’ll wear your hair, makeup, etc. It can feel like a lot of work. Hi Alexis! Thanks for writing — and great question! 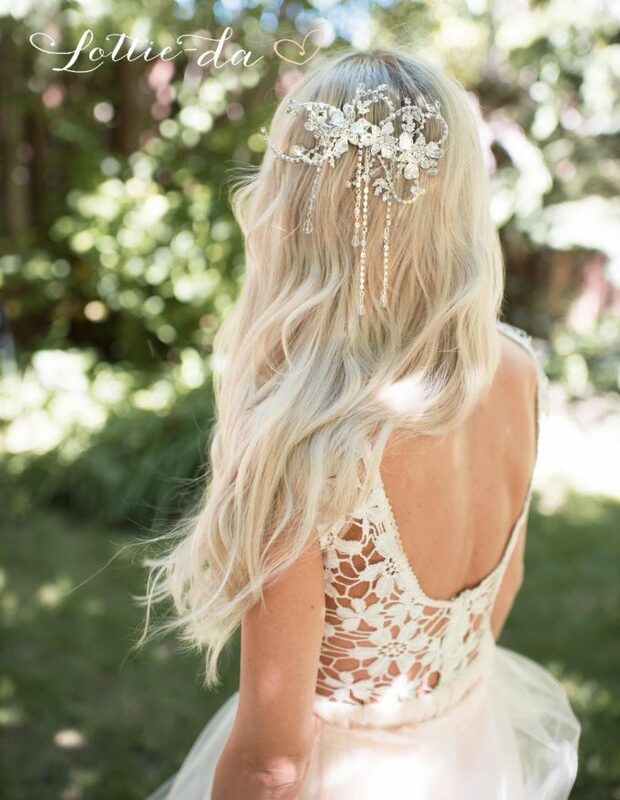 Many brides choose to wear a veil for the ceremony alone, removing it for the reception and wearing a bridal comb in its place. 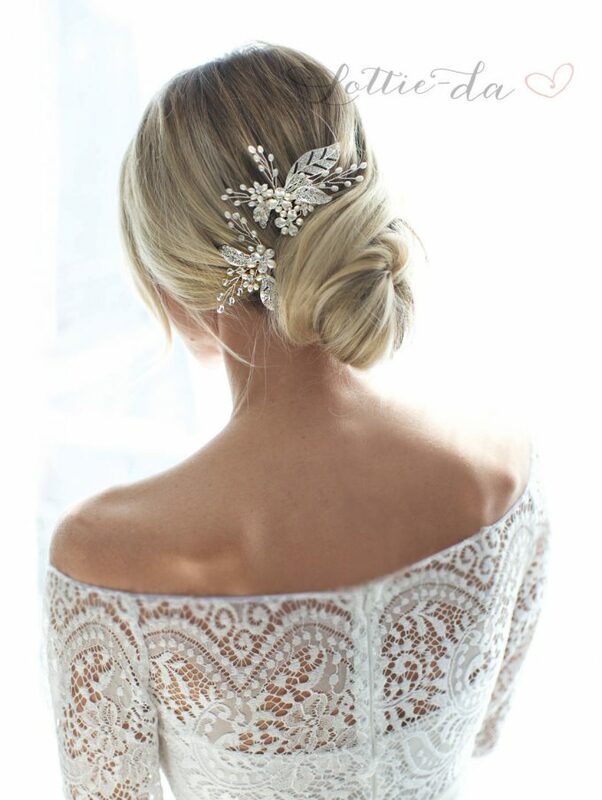 A bridal comb is easy to wear with any hairstyle — up or down — and looks beautiful on its own. 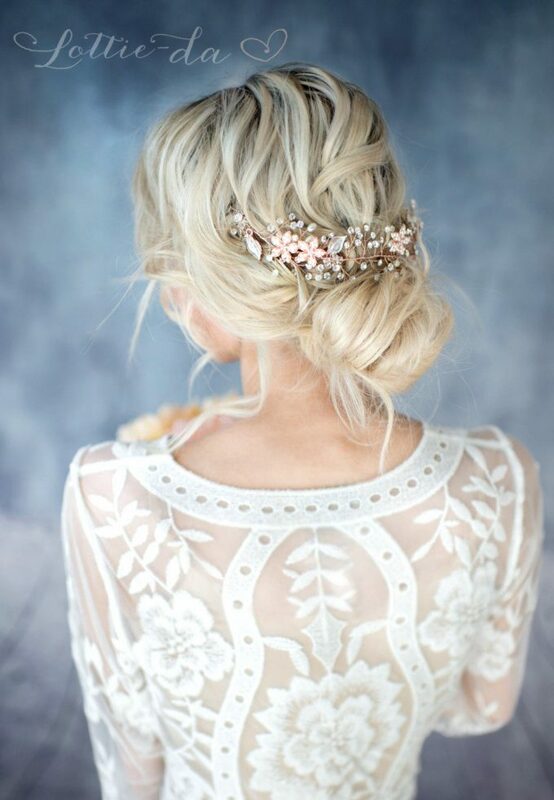 Some brides even wear a bridal comb instead of a veil, which is completely up to you. 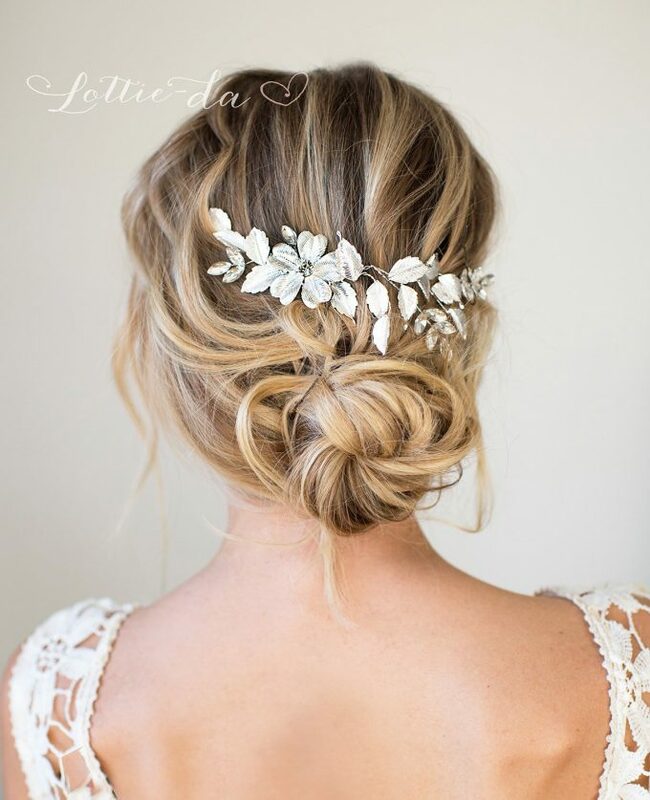 When you’re choosing a bridal comb for your veil, we recommend choosing a metal that coordinates with your jewelry and accessories. 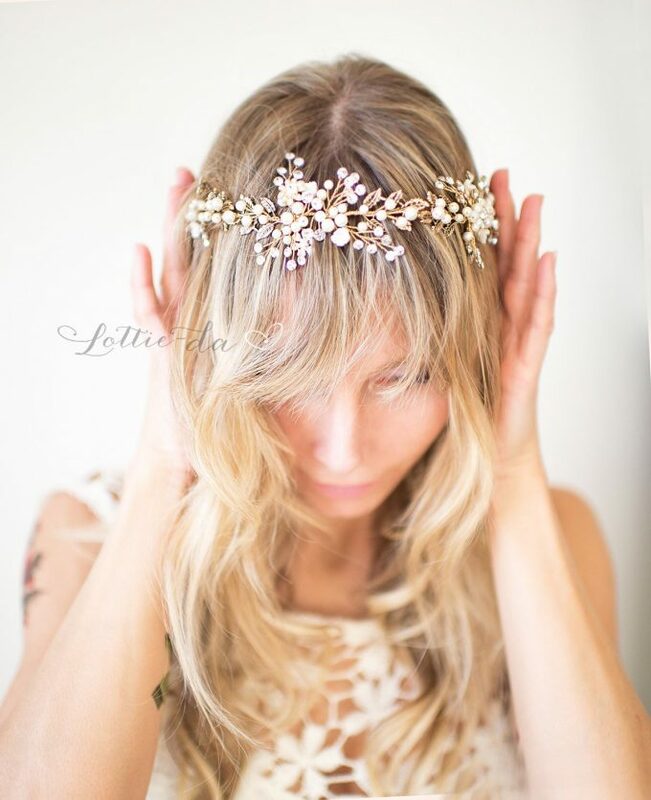 Also, select one that resonates your personal style, whether it be a vintage bridal comb or a bohemian inspired one. 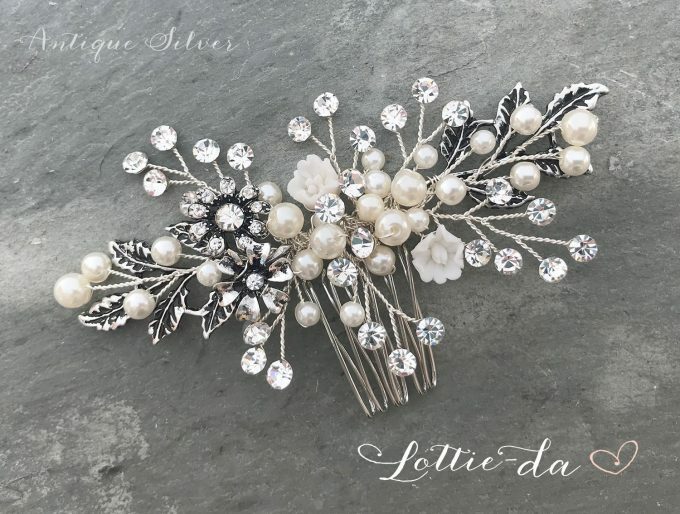 You can find lots of bridal combs and hair vines (another choice for a veil alternative) at Lottie-Da Designs. 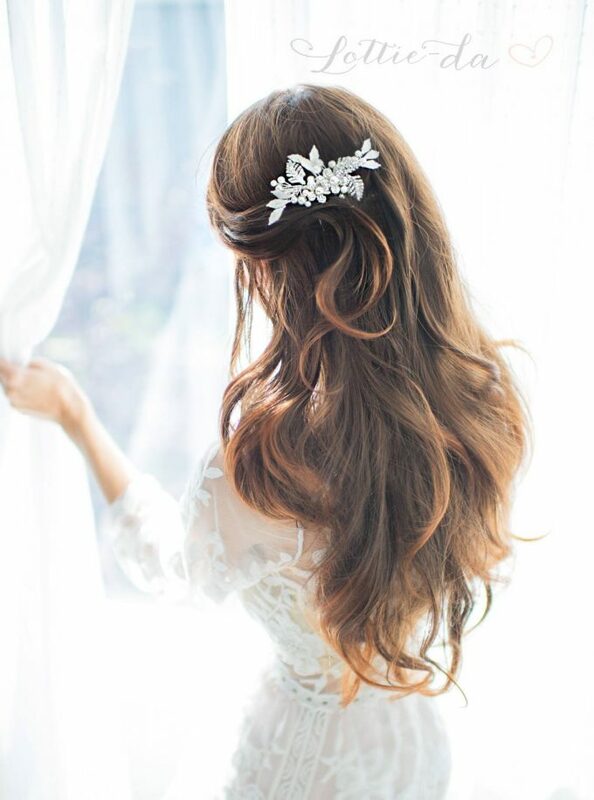 We’ve rounded up a few hand-picked bridal hair combs to share with you today, all of which will look lovely with your veil and without. Take a look! 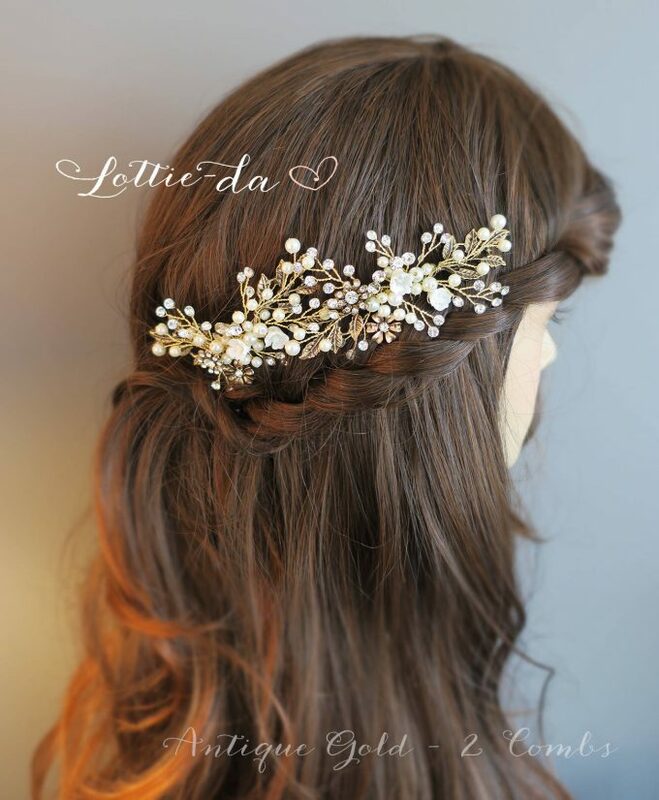 This is my latest favorite: a Grecian style hair comb. It’s beautiful! 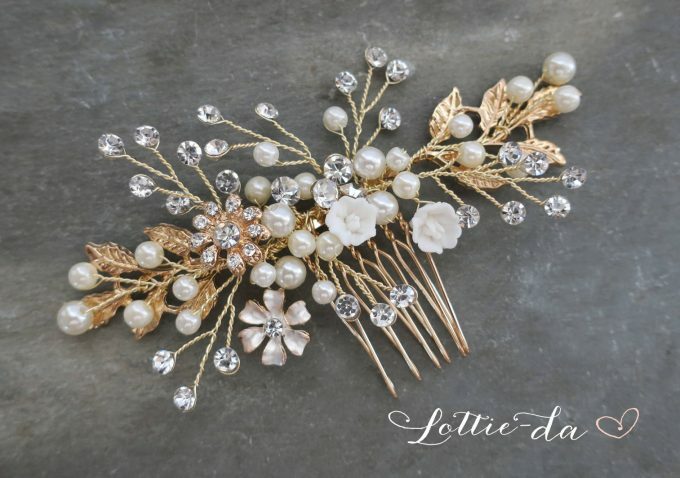 I love this hair comb which features four crystal strands dangling down. 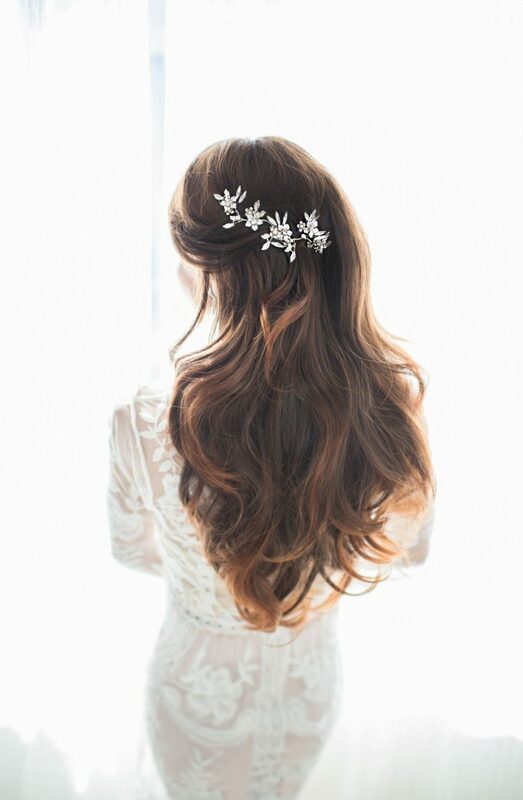 You asked about a bridal comb for your veil, but have you thought about a bridal hair vine? 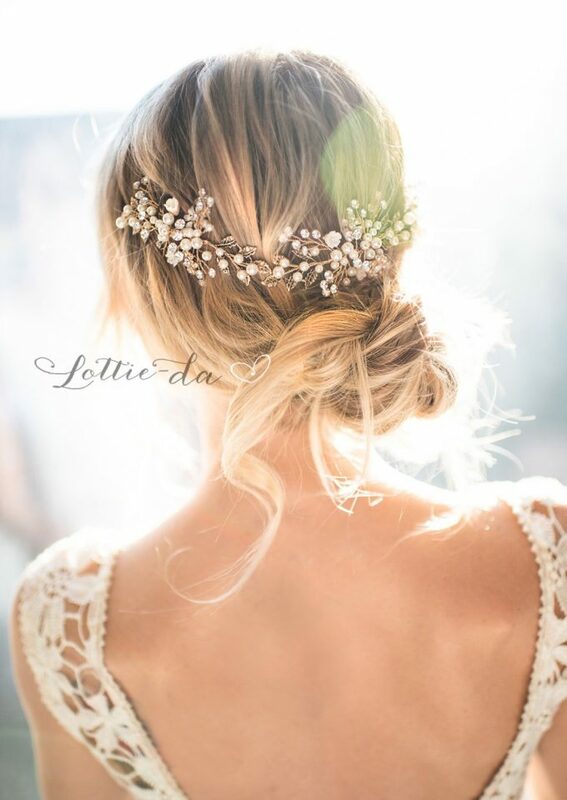 This is another style you may love, as it can be worn with your veil and then worn on the front of your head as a halo headband or remain pinned to your hairstyle in the back for your reception. 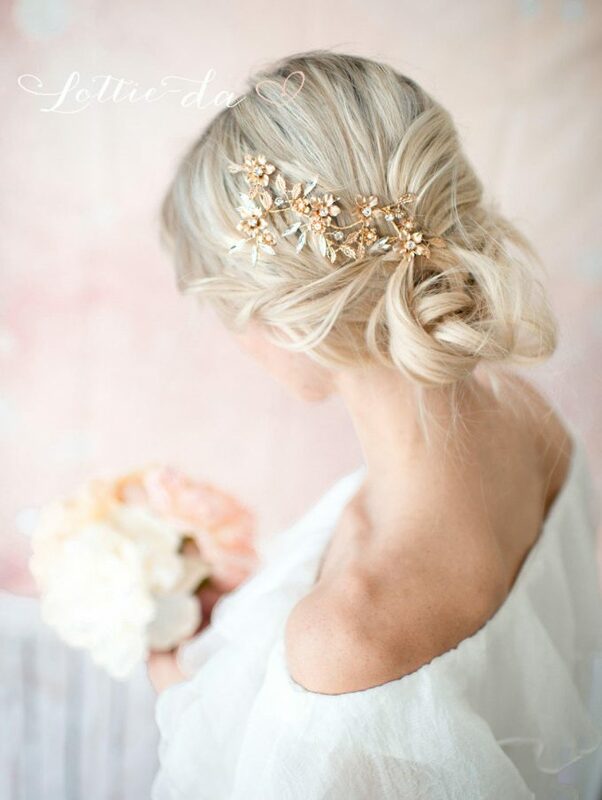 … or worn in the back as a bridal comb for veil or without veil. If you love something here, you can buy it in the shop. 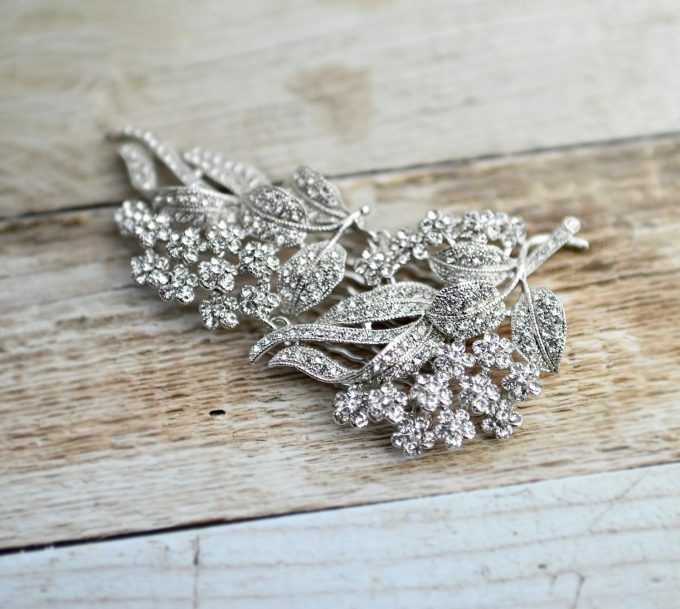 Many of these hair combs are available in silver, rose gold, and yellow gold to coordinate with your jewelry and bridal accessories. It’s Thanksgiving week, which means there are LOTS of Black Friday deals happening now, in-store and online! 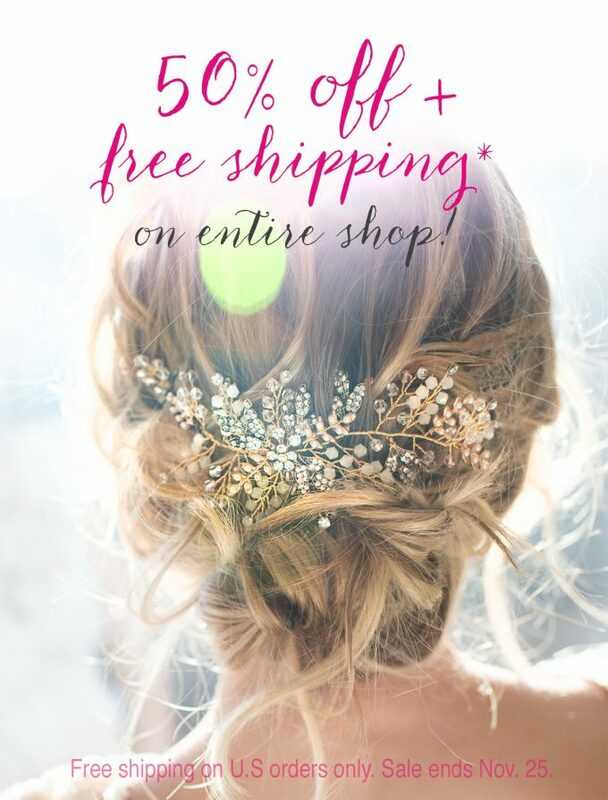 We noticed there is a 50% OFF discount at Lottie-Da Designs happening now PLUS FREE SHIPPING to U.S. for a limited time! This is the biggest sale they’ve ever had and it ends on Nov. 25. P.S. Have a question for us? Ask Emmaline!